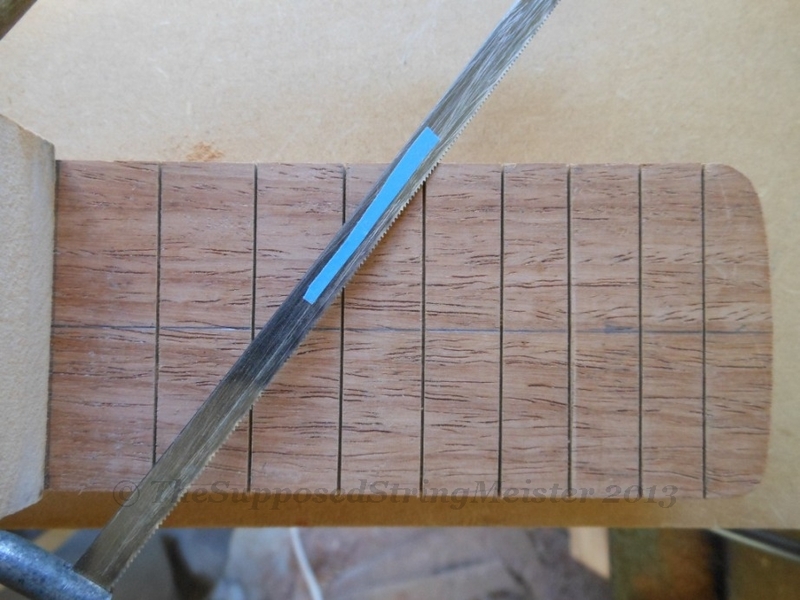 The radiusing and fretting of the Strat fretboard in chronological order. 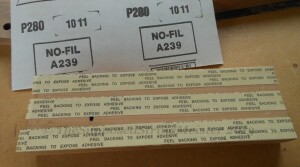 To enlarge the photo to full size, click on it. Using a hacksaw… the set of the teeth were adjusted to accommodate the fret tang. 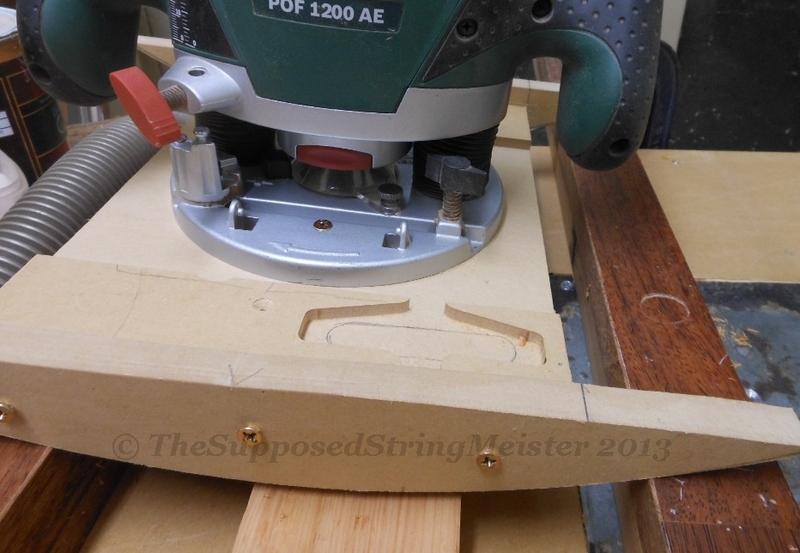 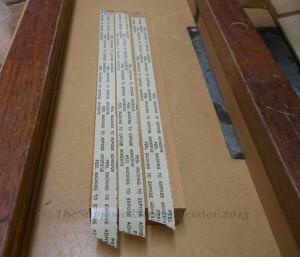 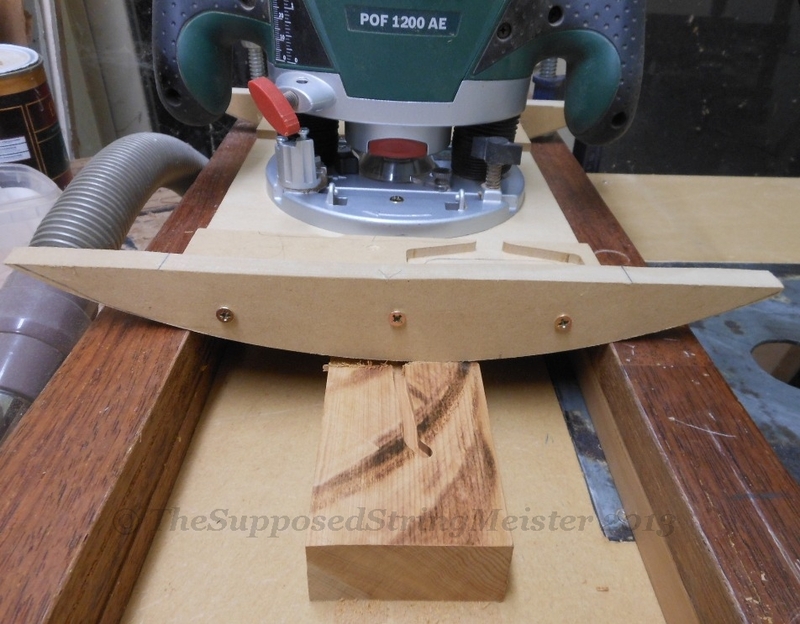 The sanding block provides a straight line for the cut. 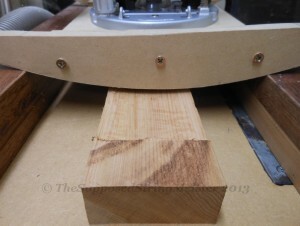 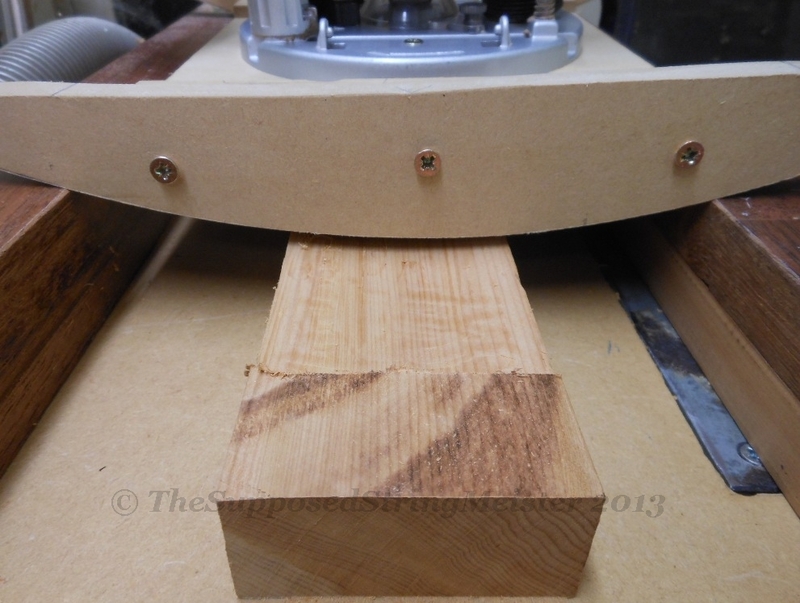 Making a 12″ radius jig to be able to make the 12″ sanding block. The future sanding block – a piece of Matai. 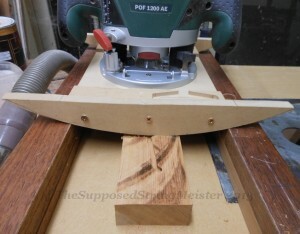 Gently moving the router from left to right and up and down the guide rails. 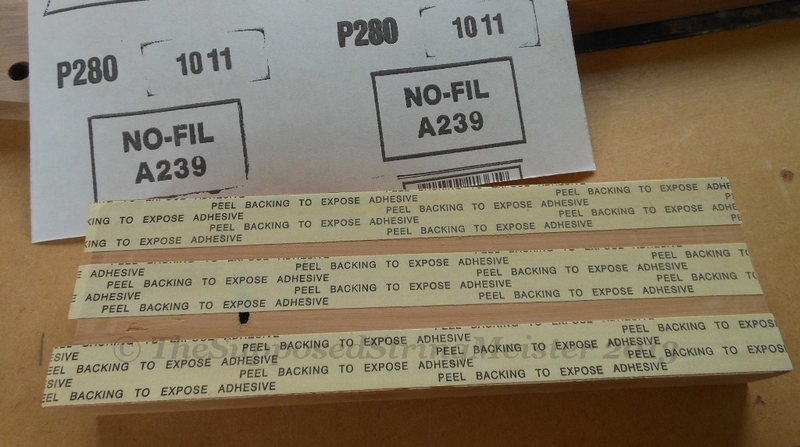 Sandpaper attached with double sided tape. 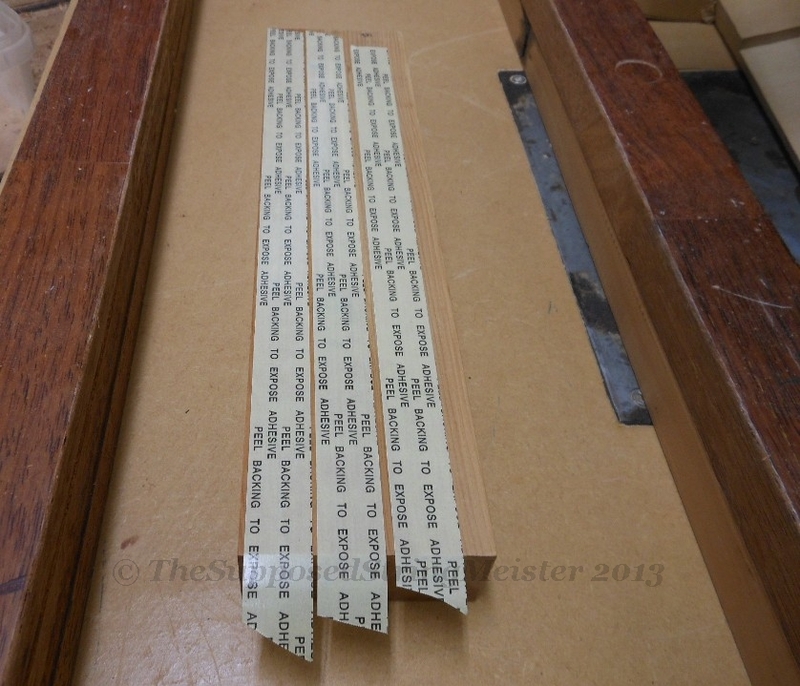 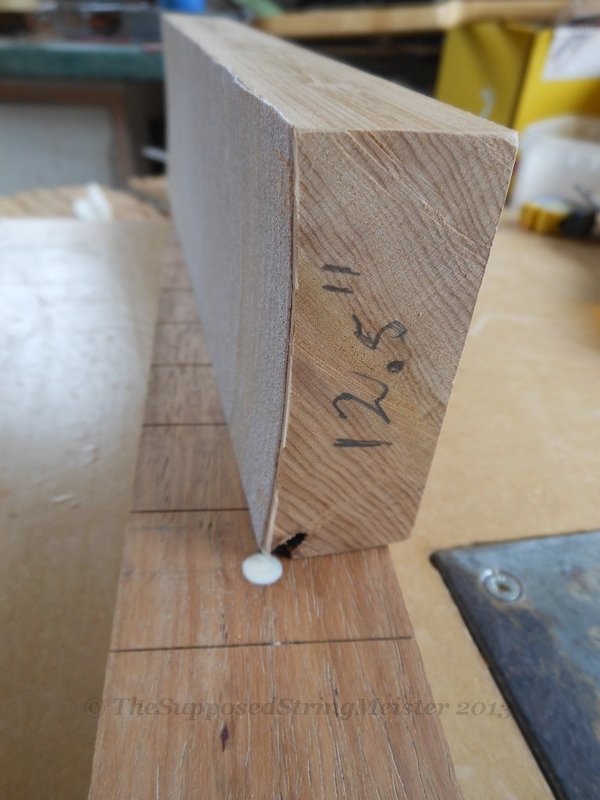 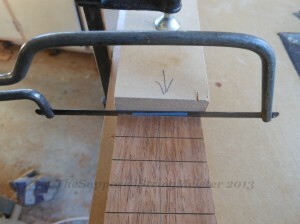 Pre bending the fret on a bit of Matai with a ‘wide’ slot. 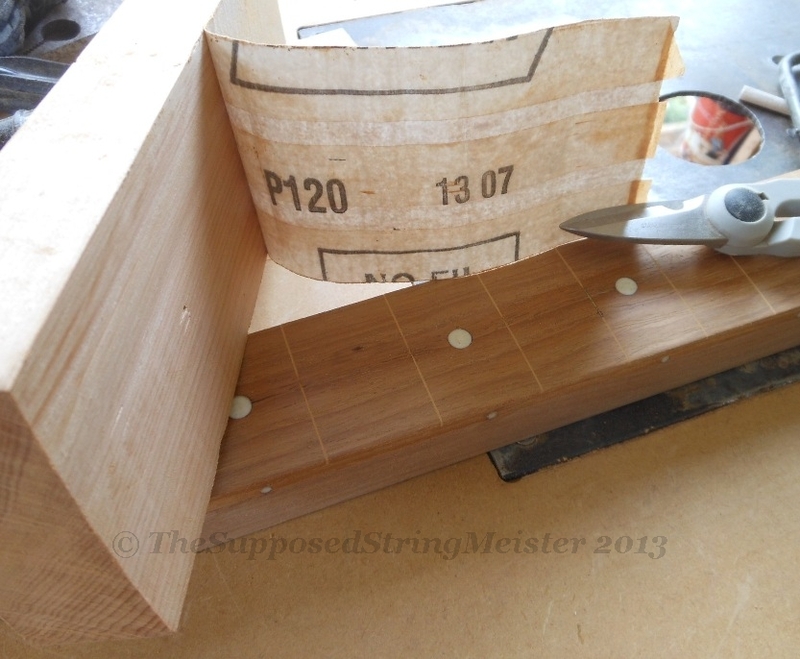 I hand press the frets in with a block of wood. 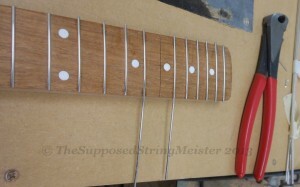 I think there is a better way of doing it. 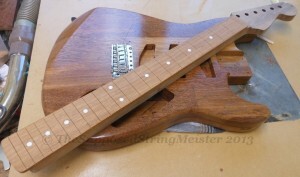 Done, ready for leveling, filing the ends off and polishing.